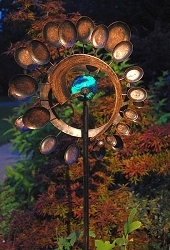 Kinetic motion and art for your garden landscape! 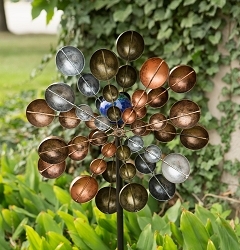 The beautiful handcrafted copper disc garden wind spinner with flamed copper finish looks great spinning in a gentle breeze. 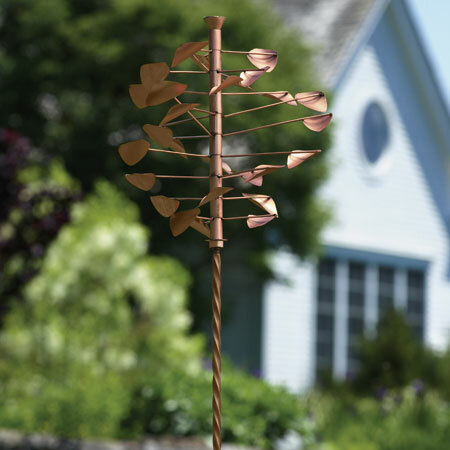 The kinetic motion of the nine rows of copper discs mounted to each arm will provide a stunning effect and will add interest to any garden landscape. 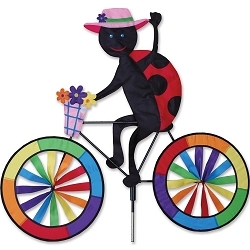 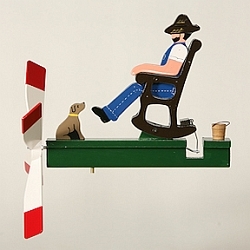 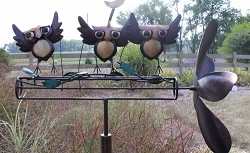 A wonderful art piece for any garden or yard whether it is moving or not. 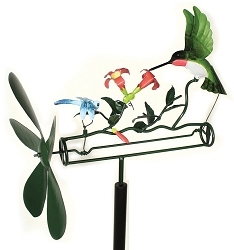 This large spinner and twisted garden stake stands 60" tall and is constructed of heavy duty steel with a durable powder coated flamed copper finish. 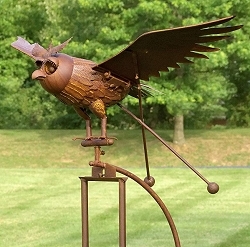 The finish will withstand the elements, but will also age beautifully over time to a desired patina. 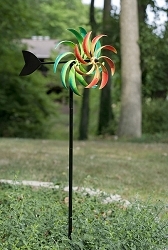 To prevent weathering, additional poly coats can be applied. 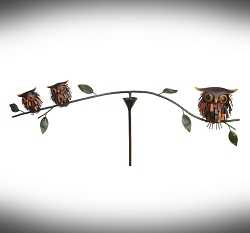 Dimensions: 11.5" x 11.5" x 60"
Rocking Jumbo Owl Kinetic Garden Stake 76"